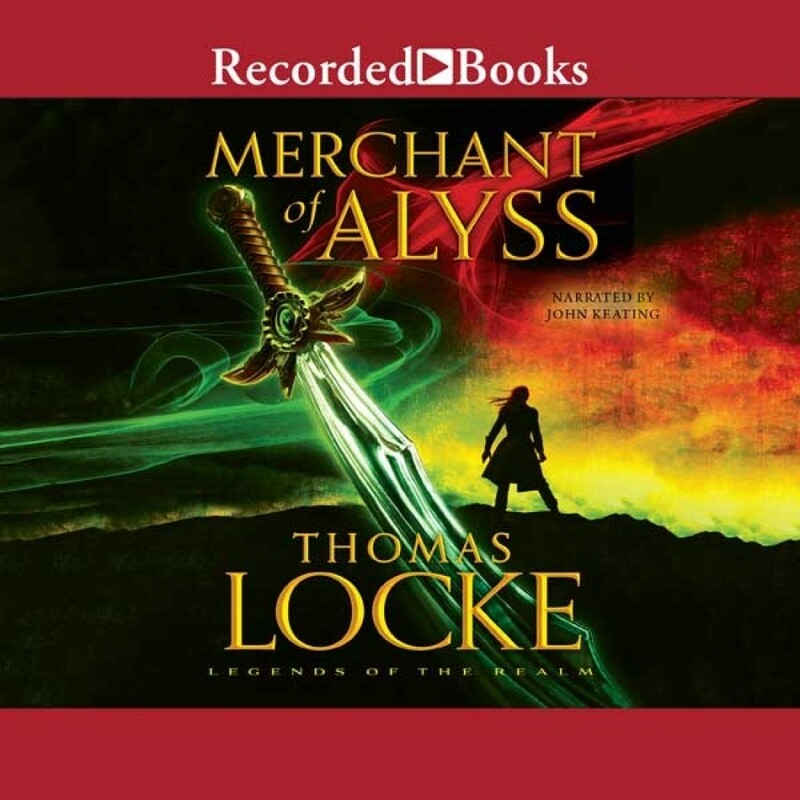 Merchant of Alyss | Thomas Locke | Audiobook Download - Christian audiobooks. Try us free. When Hyam finds ancient Mylantian scrolls, he begins a journey to uncover their meaning. Will what he discovers mean war? Life for Hyam is bittersweet. Admired by the citizens of Falmouth for his heroic rescue mission, he cherishes these peaceful days with Joelle by his side. Yet grief over the loss of his magical skills during the great Battle of Emporis threatens to engulf him. Sometimes he even wishes he had never known magic at all. When Hyam comes into possession of an ancient Milantian scroll, he is thrilled to feel the surge of power that courses through him whenever he touches it. But what he discerns in the text could mean war. He embarks upon another journey to determine its true meaning and forestall any attack. But as Hyam is seeking answers, he is unaware that the merchant of Alyss is seeking him . . Author bio: Thomas Locke is a pseudonym for Davis Bunn, the award-winning novelist with total worldwide sales of seven million copies. With a lifelong passion for speculative stories, he is also the author of Emissary and Trial Run. His work has been published in twenty languages, and critical acclaim includes four Christy Awards for excellence in fiction. He divides his time between Oxford and Florida. A screenplay adaptation of Emissary is currently under development as a feature film with a British production company.